Noooooooooooooo. The news that will ruin my Saturday is surely this: Robert Pattinson as Finnick Odair in Catching Fire. There has been so many names thrown into the pot to play the role of the dashing Finnick in the second Hunger Games movie that I have not been able to keep track. There are many people, myself included, whose favorite character of the series is Finnick....so the casting must be perfect. 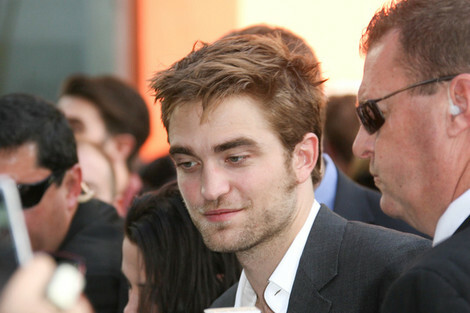 Far from perfect would be casting the I-play-most-of-my-roles-acting-stoned Robert Pattinson. This would be a devastating blow to the franchise. This is the latest from the casting from and is getting a lot of attention. Some bad, some good. I am willing this in my mind not to happen. Please no. Please no. Please no. UPDATE: My will my way I guess when it comes to the hunger Games casting. Robert Pattinson has told USA Today that there is no way he is playing the role of Finnick. He called his agent after the rumours surfaced that he may play the role and his agent said to him "No, no one is going to offer your that part." Bah. I love his agent. I hope not, that would be bad.